Future vehicle supply is not adequate to move forward. Another GM brand bites the dust. Penske Automotive Group, Inc. (NYSE: PAG) has just announced that it has terminated its discussions with General Motors Company to acquire the Saturn brand. GM had agreed to continue producing several products, including the Aura, Vue and Outlook models, for an unspecified time. The company had earlier said it would phase out those products, before 2011. As a result of Penske’s decision, GM said it will shut down the Saturn brand and dealership network, in accordance with the wind-down agreements that Saturn dealers recently signed with GM. GM said the terms of the shut down would be forthcoming. Stay in Our News Orbit! Hand-Held Device Use Increasing Among All Drivers. Nearly 6,000 people died in 2008 in crashes involving a distracted driver. Transportation Secretary Ray LaHood today challenged more than 250 safety experts, industry representatives, elected officials and members of the public to help put an end to distracted driving. The Secretary’s plea opened a two-day Distracted Driving Summit in Washington, DC that will highlight the under-recognized dangers of distracted behavior behind the wheel. Secretary LaHood also announced new research findings by the National Highway Traffic Safety Administration (NHTSA) that show nearly 6,000 people died in 2008 in crashes involving a distracted or inattentive driver, and more than half a million were injured. There are more than six million accidents each year in the U.S.
On any given day in 2008, more than 800,000 vehicles were driven by someone using a hand-held cell phone. Numbers for hand-free cell use were not revealed, as they are difficult to compile. As expected, the debate continued late into the afternoon over how serious cognitive distraction is in all types of cell phone use. Studies by the Insurance Institute For Highway Safety and the University of Utah show the use of either type of cell phone increases accident risk four or five times. But Not From the Car! It became clearer from comments from panel participants and government researchers as the day progressed that the Federal government will regulate devices that take a driver’s eyes off the road. It also appears that the use of hand held phone use would be banned. It's the first, small expansion of the workforce since 2008. 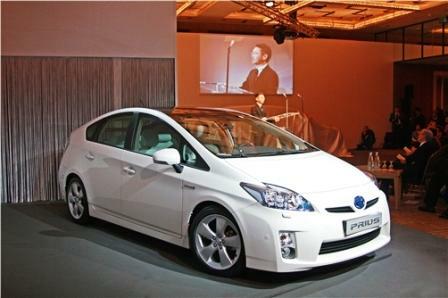 Rehired workers will make components for the third generation Prius hybrid. Toyota Motor Corporation (TMC) announced in Tokyo this morning that the number of fixed-term employees it plans to hire starting in October would be approximately 1,600. Recruiting is to center on former TMC “fixed-term” employees, with those rehired expected to take up positions in various plants from the beginning of October through early November. It is the first, small expansion of a contracted workforce since June of 2008. Since then the loss-making company has slashed its temporary workforce in Japan from 9,000 workers to 1,300, as it cut production after the collapse of Lehman Brothers a year ago sent the world’s markets into crisis. Similar cuts were made in other markets. GM and eBay discontinue online selling in California. GM marketing executives starting with Bob Lutz must prove they can move metal. General Motors Company will today stop selling new cars and trucks in California online through eBay. The move comes as a surprise given previous executive remarks on the experimental program. During a press conference on September 1, GM said its nascent California eBay project resulted in 4,000 shoppers who negotiated a new vehicle price in the first three weeks of the program. GM had extended the eBay program through the end of September. Retail sales in California during August when the program began were up 63% — roughly three times the national increase in sales. However, the CARS program, aka Clunkers, was also an influence on August results. “Once the California program winds up, we’ll take a look at the results and determine if we should roll it out nationally later this year,” LaNeve said then. Well, the results are apparently not good enough for the company, which is struggling to maintain its market share after decades of decline. A GM spokesperson said the current national “May the Best Car Win” marketing effort is the company’s current area of concentration. The initial results of that controversial campaign, which offers a 60- day money-back guarantee and has the Chairman pitching it on TV, will not be known until September sales are reported tomorrow. Year-to-date GM sales are off 35%. GM dealers in the United States during August delivered 246,479 vehicles, the company’s highest total in 2009. The August total, when compared with a very strong sales performance in August 2008 from “an Employee Pricing” promotion then and lower fleet sales this year, was down 20%. Overall, retail sales were down 17% while fleet sales declined 29%. 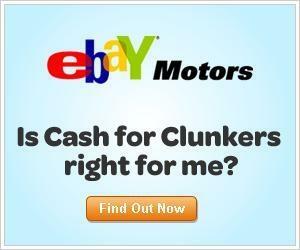 GM said the eBay program resulted in 1.5 million unique web visitors and it produced about 15,000 leads for dealers. 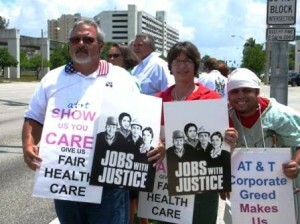 A so-called legislative alliance will put pressure on lawmakers. The alliance formalizes the cooperation that began a year ago during the Presidential campaign. UAW President Ron Gettelfinger and Larry Cohen of the CWA said each union would contribute staff and other resources to this alliance, which will be responsible for representing the interests of 2 million active and retired CWA and UAW members on legislative issues. “Through this alliance, the two unions will increase the effectiveness of their legislative efforts in advancing the interests of their members and working families generally. In particular, the alliance will actively support passage of the Employee Free Choice Act, comprehensive, health-care reform, and measures to promote retirement security and fair trade,” Gettelfinger and Cohen said in a statement. For all practical purposes, the alliance formalizes the cooperation that actually began a year ago during the Presidential campaign when both unions rallied behind Barrack Obama, UAW officials said. The cooperation was extended during the fight on Capitol Hill over the auto industry bailout, spawning the discussion about the possibility of closer collaboration. Opinion: Automaker’s problems may only get worse. What went wrong? 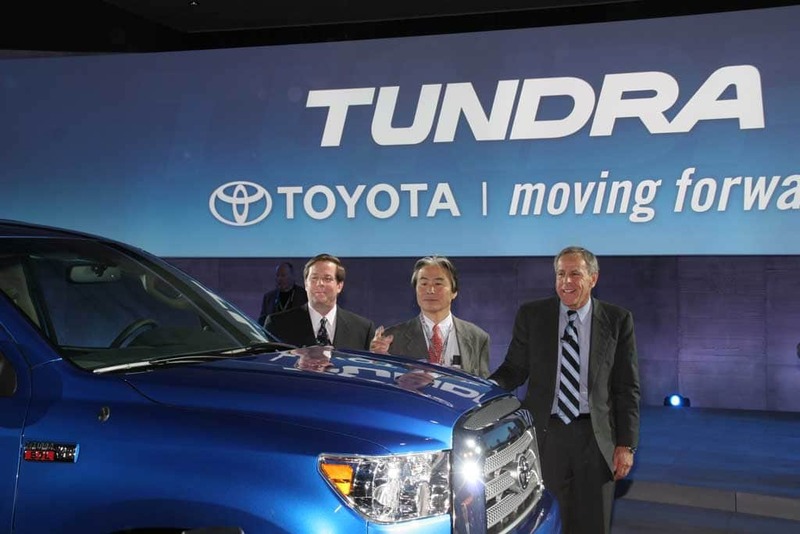 Perhaps no product is more emblematic of Toyota's current troubles than the Tundra full-size pickup. These were supposed to be the best of times for Toyota. Instead, they’re turning into the worst. It was just barely a year ago when the Japanese giant finally surged past its American rival, General Motors, to become the world’s best-selling automaker. 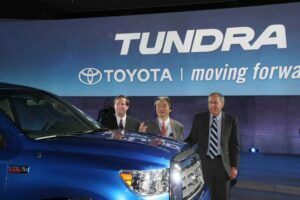 For years, that had seemed like an eventual inevitability; and though Toyota officials routinely insisted that being number one wasn’t their goal, a high-placed executive, now retired, said it was the consuming desire for Toyota’s top management. The Latest News with a Free Subscription! On the way up, it seemed like the company could do no wrong. It steadily rolled out an array of new products that connected with American consumers the way domestic makers couldn’t. 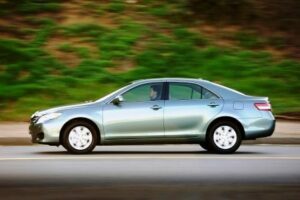 Models like Camry, RAV4 and the Lexus LS460 routinely topped the quality charts, while also delivering some of the market’s best resale values. The Prius, meanwhile, became the darling of the environmental movement, giving Toyota the image of being the greenest of automakers. Largest safety recall in history is coming from Toyota Motor Sales, which is accused of withholding accident data. Toyota Motor Sales, USA, Inc. will soon launch a safety campaign on 3.8 million Toyota and Lexus vehicles to remove floor mats that may have caused deaths because of a stuck accelerator pedal. Irv Miller, Toyota vice president of communications, said the recall is aimed at a problem where floor mats can interfere with proper operation of accelerator. “If a floor mat is not secured, there is the potential for the floor mat to slide forward and trap the accelerator pedal,” Miller said. “This will be the largest recall ever for Toyota,” Miller said. “We will be working very diligently to get his resolved,” Miller said. 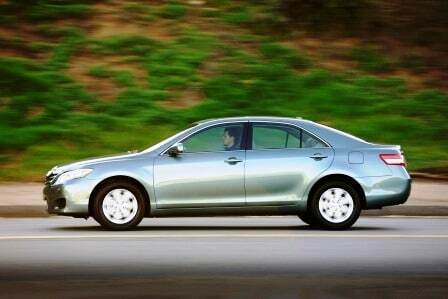 The old record for a Toyota recall involved 900,000 vehicles in 2005. Last month, a California State Highway Patrol officer and three family members were killed when their loaner Lexus ES350 crashed at 100 mph after its accelerator froze from a misplaced floor mat. Until Toyota develops a remedy, it is asking owners of specific Toyota and Lexus models to take out any removable driver’s floor mat and not replace it with any other floor mat. The Swedish company renowned for auto safety ignores a key aspect in the cell phone use while driving debate. The National Safety Council wants a total ban on driving and any kind of cell phone use. Volvo Cars of North America, LLC, (VCNA) is placing full-page ads tomorrow in issues of USA Today and The Washington Post that call for distracted driving legislation. Publicly taking a position on the need for legislation is apparently a first for Volvo, and the company chose to do so as the Department of Transportation’s “Distracted Driving Summit” in Washington, D.C., which opens tomorrow. It is indicative of the high stakes and high profits that potentially are on the line if the government bans the use of electronic devices in cars, including phones, moving maps, Blackberries and video players, among others. The advertisements apparently attempt to change the subject from the dangers of any kind of cell phone use while driving to a position that hand-free cell phone use while driving is safe. Peer reviewed scientific studies say that it is the cognitive engagement while using either a hands-free or a hand-held cell phone that is the dangerous distraction. The issue is not the type of phone a driver uses, rather it is the mental distraction caused by the conversation itself. That’s the reason earlier this year the National Safety Council urged a total ban on using cell phones while driving after conducting further studies that confirmed previous research on just how dangerous cell phones are. NSC said cell phone use while driving contributes to 6% of crashes, or 636,000 wrecks, 330,000 injuries, 12,000 serious injuries, and 2,600 deaths each year. NSC estimates the annual financial toll of cell phone-related crashes at $43 billion. Simply put cell phone use is as dangerous as drunken driving. Volvo and Ford Motor Company, along with virtually all other automakers are attempting to preserve hands-free cell phone use, which they enable with optional or standard equipment telematic devices that allow an increasing array of electronics to be used during driving. Such scientific studies are likely to be contested tomorrow at the Distracted Driving Summit as powerful and wealthy vested interests attempt to protect the increasing sale of electronic devices that are leading to an “epidemic of distracted during,” in the words of Republican Ray LaHood, who heads the Department of Transportation. As DOT head, LaHood also has charge of the National Highway Traffic Safety Administration, which is supposed to protect people from unsafe vehicles, driving conditions and practices. It’s the first major lab established by a global automaker. Mega-city safety research is on the agenda. 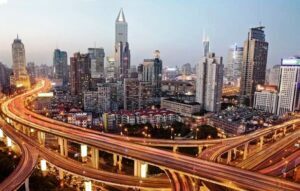 General Motors Company has established a China Science Lab in Shanghai. The “unique” facility will carry out research projects in a number of automotive-related fields for General Motors. GM claims the first major science lab established by a global automaker in China will contribute to technological innovation, both domestically and on a worldwide basis. China is the largest auto market in the world, and General Motors is now, arguably, a more successful company in China than in its home market where share continues to decline. “Our vision for the China Science Lab is to be recognized as a world-class R&D organization that will help drive GM’s automotive business into the future,” said Alan Taub, GM’s new Vice President of Global Research and Development. “Our aim is to develop breakthrough technologies that will differentiate GM vehicles in the marketplace and build on GM’s long history of industry firsts. The China Science Lab’s opening demonstrates that GM is moving aggressively to maintain leadership in breakthrough technological research globally,” Taub said. GM says the China Science Lab’s initial concentration will be on research related to advanced propulsion technology and joining technology. The China Science Lab will also focus on battery cells, mega-city safety research, advanced vehicle development, and light materials. A highly scratch-resistant coating coming on new Lexus LS. Self restoring paint is an auto fountain of youth? Toyota Motor Corporation (TMC) announced today that it has developed a clear-coat paint with self-restoring qualities that it says is highly resistant to surface scratches usually caused by car wash brushes or fingernails. TMC plans to use the coat on the soon-to-be-upgraded Lexus LS model, it flagship luxury vehicle. A similar coating is used on Infiniti vehicles. It was not immediately clear just how much of a breakthrough this is. Unlike a conventional clear coat, TMC’s newly developed coating is not easily damaged and can even restore itself even if it is deformed, unless it is destroyed. Moreover, it requires no special maintenance, prevents luster degradation caused by surface scratches and helps to prolong new-car color and gloss. The new coat features an ingredient that makes for closer molecular bonding, resulting in a denser structure than with conventional clear coatings. This gives the outer most paint coat flexibility and elasticity, making it less prone to damage and more resistant to light and acid. It also gives it the ability to self-restore after deformation. TMC continues to address automotive paint related environmental issues through such steps as introducing water-based paints on all its vehicle-production lines.